A child narrowly escaped being shot, seconds after being dropped off at a Sunford Drive home where unknown ‘hitmen’ opened fire on a tow truck driver killing him in a hail of bullets on Sunday. 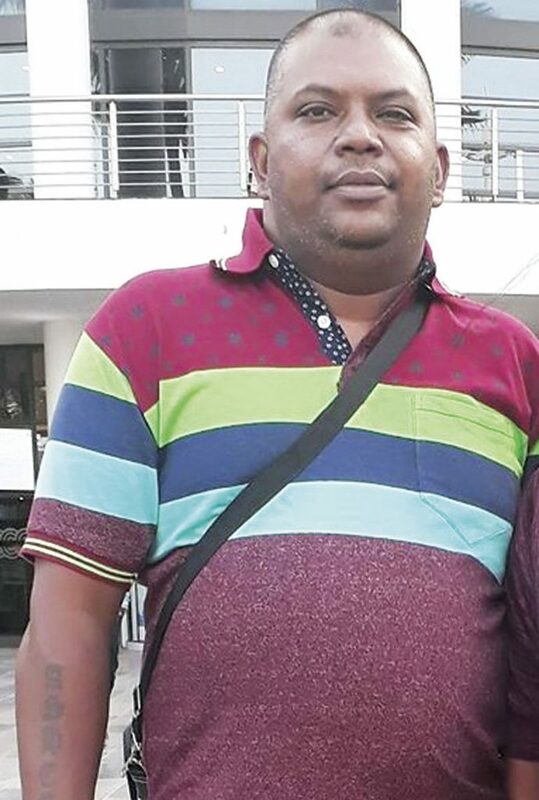 Asheel Ramdass (38), died instantly whilst the gunmen fled in a white Toyota Etios which was found abandoned on Southbury Drive in Eastbury, shortly after the fatal shooting. Phoenix SAPS communications officer, Cpt L Naidoo, said cases of murder and carjacking are being probed. “The victim stopped at Sunford Drive to drop off a child. As the child was in the yard, a white Etios stopped next to the victim’s vehicle, a blue Mazda tow truck. The occupants in the Etios then opened fire on the victim fatally injuring him. The Etios then sped off. One witness gave chase and fired at the Etios, damaging the back window. The Etios was then abandoned on Southbury Drive. The occupants of the Etios, three men, then hijacked a black Polo Vivo ND 99893 from a Southbury Drive residence and fled,” said Cpt Naidoo. “Police members found nine 9mm cartridges and one R5 cartridge at the scene of the shooting. The deceased victim sustained multiple gunshot wounds on the right side of his body with five bullet wounds to his leg, six to his abdomen and one to his neck. Numerous cartridges were found in the Etios which was splattered with blood,” Cpt Naidoo added. Local security companies were quickly on the scene together with medical services and KZN VIP spokesman, Gareth Naidoo, who was first on scene, said, “The child on the scene was a hair’s breath from being shot as the bullets from the high powered firearms were found scattered at the scene of the shooting even at the neighbour’s premises. KZN VIP Medics declared the victim deceased at the scene. 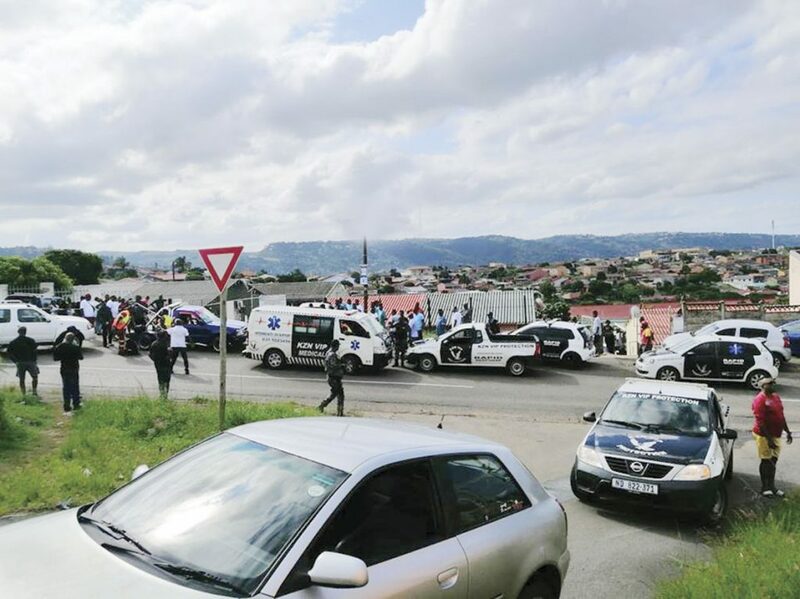 Reaction Unit South Africa head, Prem Balram, said, “Residents in the area found the critically injured man lying in the driver’s seat of a Mazda tow truck. On arrival, paramedics from a private ambulance service were in the process of accessing the man who was declared deceased. “It is alleged that the deceased was followed to his residence by heavily armed men in a white Toyota Etios.